Is there anything more satisfying than finding a good place to eat that you can go back to time and time again without getting sick of it? For me that's up there on the list of things I love and Vapiano is fulfilling all my needs. Wither its a lovely spot for lunch or somewhere you can chill out and get a good dinner Vapiano has you covered. 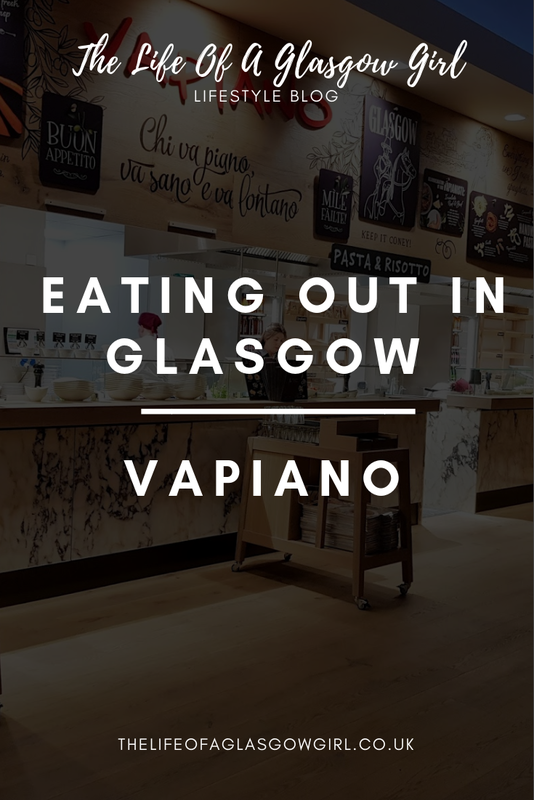 I remember attending the opening of Vapiano, the food I tried that night had me dreaming of more so when I was asked to go along to Vapiano again to have a meal I was over the moon! From the moment we arrived everything was fantastic. Walking in the decor is just beautiful and I feel like the atmosphere changes as soon as you walk through those doors from the stress of busy life to a nice laid back experience. When ordering at Vapiano the process couldn't be easier. You are given a card that you use to swipe at each station and the servers will be able to swipe it as well when you're ordering drinks which I think is just a fabulous way to do things, it keeps the bill all in one place and eliminates the use of lots of paper. Going round the stations you can choose exactly what you want and they tailor it to how you like it which was a big plus for me. 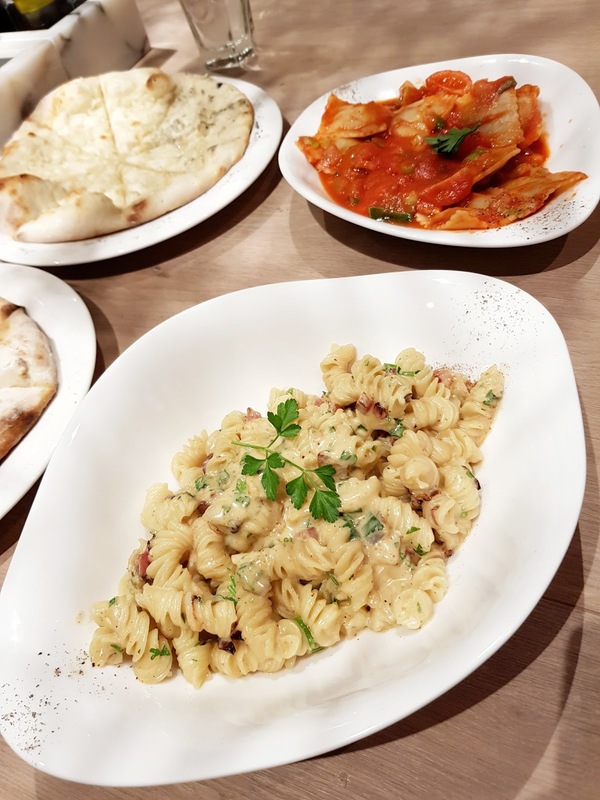 At the pasta station you can choose what kind of pasta you want from fusilli to spaghetti with what ever pasta dish you want. I went for the fusilli with the carbonara... YUMMY! For Lisa's main she went with the ravioli and I'm not a fan of that but it smelled delicious and I hear on good authority it's super tasty! 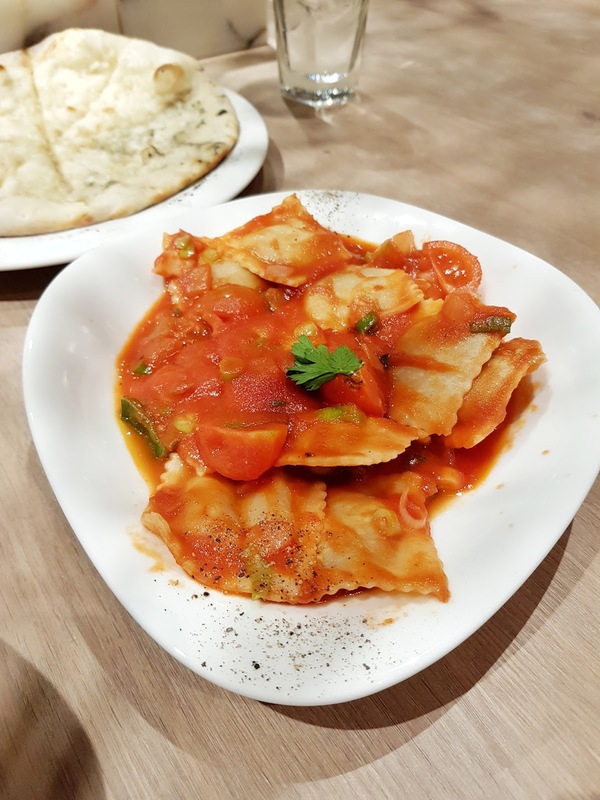 We were able to watch them make the pasta fresh which was a nice touch, I like to know my food is fresh and what the kitchen area is like so that's why I like places that have the open kitchen so you can watch what's going on. Whilst waiting for the food the staff were really nice and talked away, it was lovely because it can be awkward standing about waiting on food. With our mains we both decided to have a garlic bread each and wow.... I wasn't expecting the size we got! One plate is perfect for sharing never mind getting one each. You can get your garlic bread with or without cheese (perfect!) and they make it fresh as well, for this we got a little device that vibrates when it's ready so you can go collect it instead of waiting about for it, so that's cool. Our food was really delicious, I honestly can't wait to go back and next time I plan on getting some pizza to try that out, they have so many dishes you can choose from and again, all of it is freshly made. I also like that if you don't eat all your food they bag it up for you so you can take it away and you can get the cutest desserts which come in glasses, when taking them away you pay a £1 deposit (I'm sure it's £2 for a large one but I may be wrong!) which you can get back if you bring your glass back to the restaurant or you can keep the glass. The restaurant has a very open feel with plenty of tables, with the tables though you can sit at a table with people you don't know which probably happens a lot when it's busy but that doesn't really bother me, especially if you're with friends and you're having a good time. On the tables there's also little hooks for you to hang your bag and jacket meaning you don't have them laying about the table or on the back of chairs. 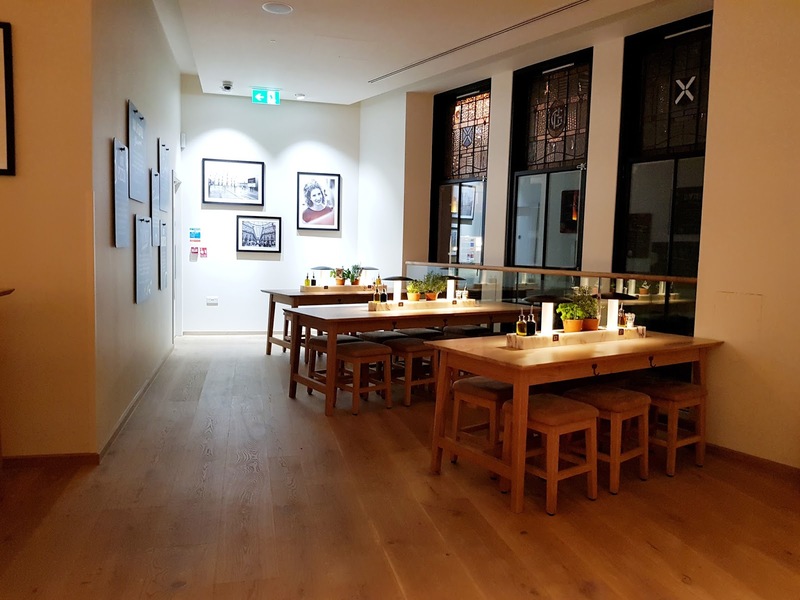 I really like the relaxing feel to the restaurant, wither you're there with friends, on a date or just having a casual lunch it's the perfect place to sit back and chill out whilst enjoying amazing food. As with all of my reviews I just had to talk about the bathroom, it's clean!! 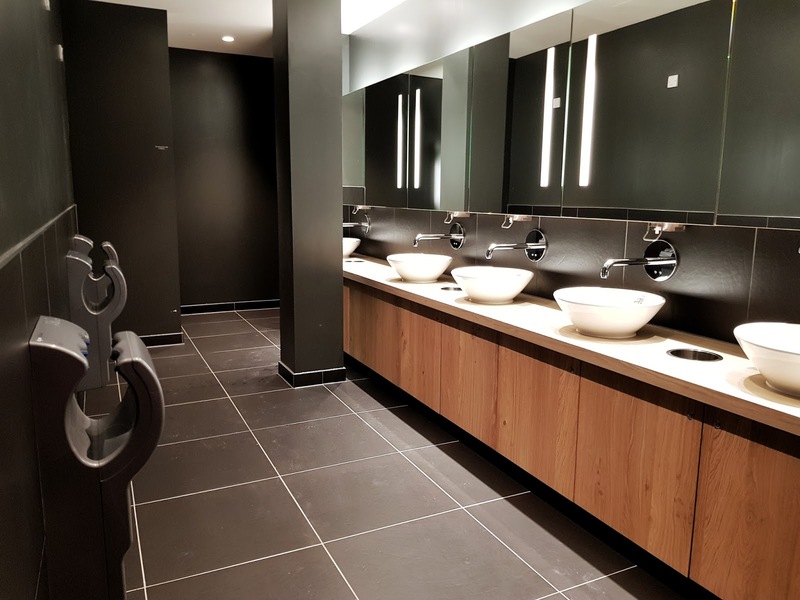 I honestly hate places that don't look after their bathrooms because that doesn't give me much faith in their kitchen or the rest of the place but Vapianos bathroom was spotless, very modern and laid out beautifully. I don't have any negatives with this one. 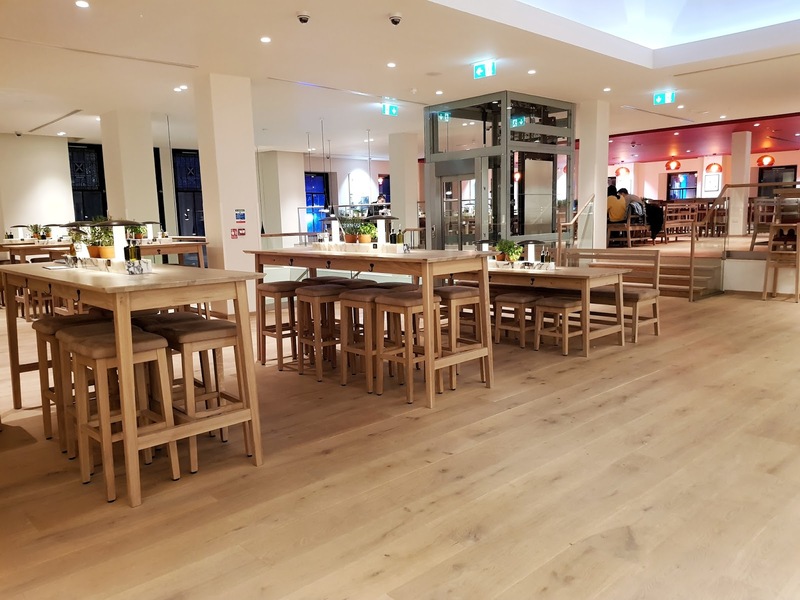 All in all I have fallen for Vapiano, I can really see this being the new go to lunch spot for sure! 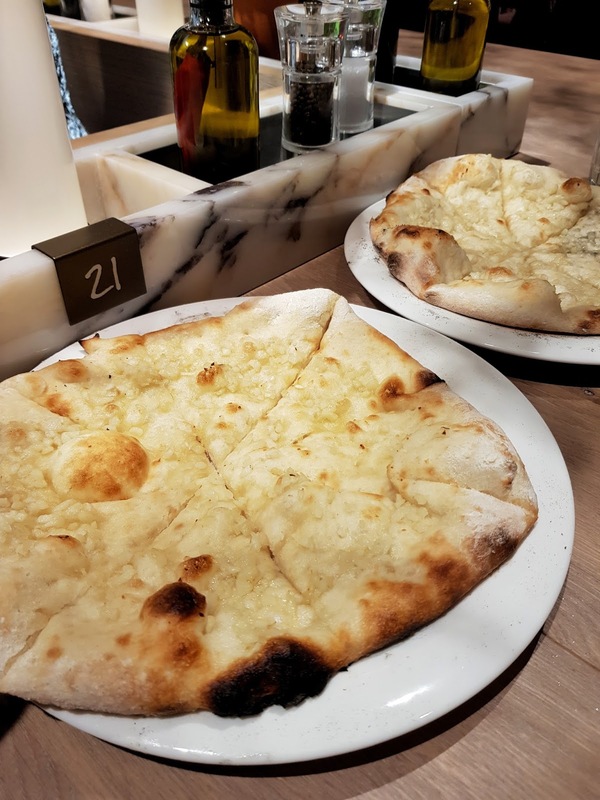 From the service to the food, everything is on point and I'm dreaming of the next trip to Vapiano to get some more of that Garlic bread they serve... It's what dreams are made of! 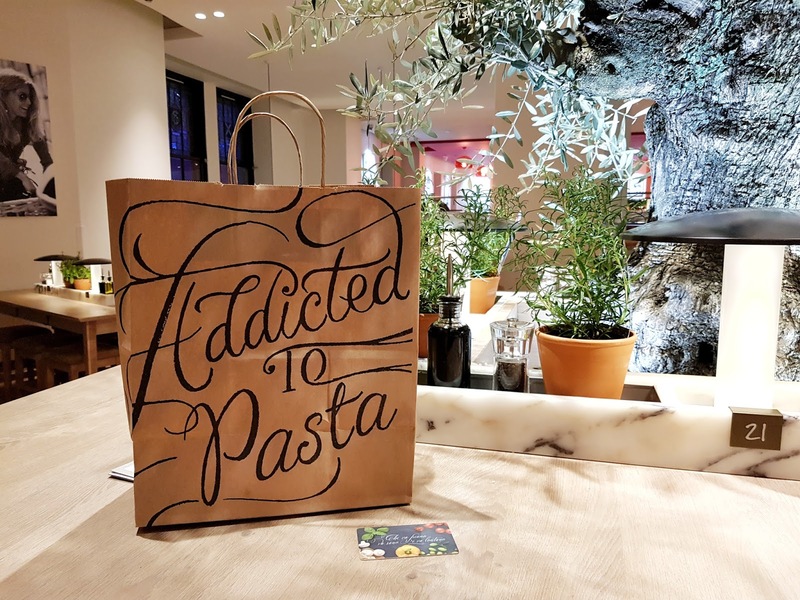 I highly recommend you get down to your local Vapiano and give it a try, my top recommendations are the Carbonara and Garlic bread. That sounds like a grwat place for food. 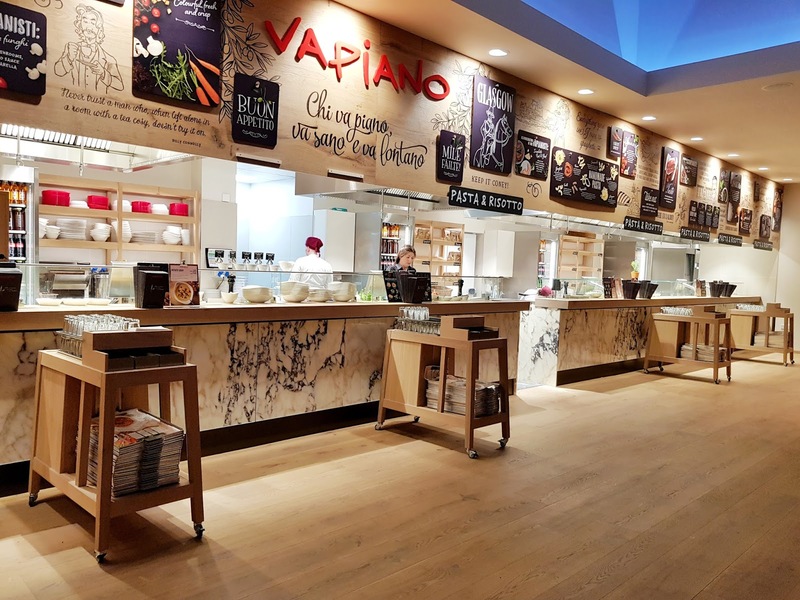 We were recommended Vapiano in Disneyland Paris but never got a chance to try it unfortunately! Oooohhh this looks like my type of restaurant. I love how it's so spacious. I can't stand it when you are packed in like sardines. I've just hopped across to their website and found there's a branch in London just round the corner from work! *How did I not know this! I feel a working lunch is on the way. You are right - it is so lovely when you find somewhere you love to eat at. We are hoping to go to Scotland as a family in the near future as my husband has family in Glasgow so your posts are really useful. I love the sound of this restaurant! So up my street as I love pizza and pasta! Wish we had one nearby! It looks so clean and modern! I love finding places that are really relaxed and have an easy ordering process. The food looks delicious as well.